weForms Pro is designed just for you, specially to fulfil your business needs. We have designed and curated every feature keeping your requirements in mind. 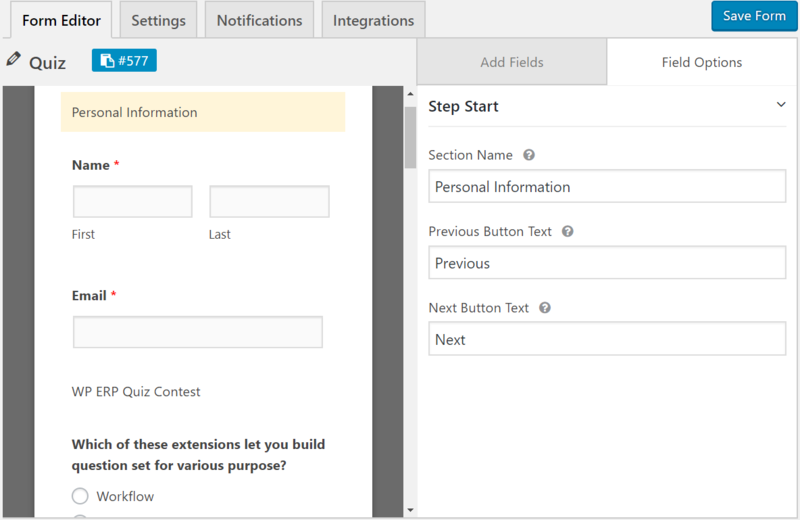 Build any kind of form flexibly with the advanced field option. Its user friendly interface makes sure you do not have to scratch your head over building forms. 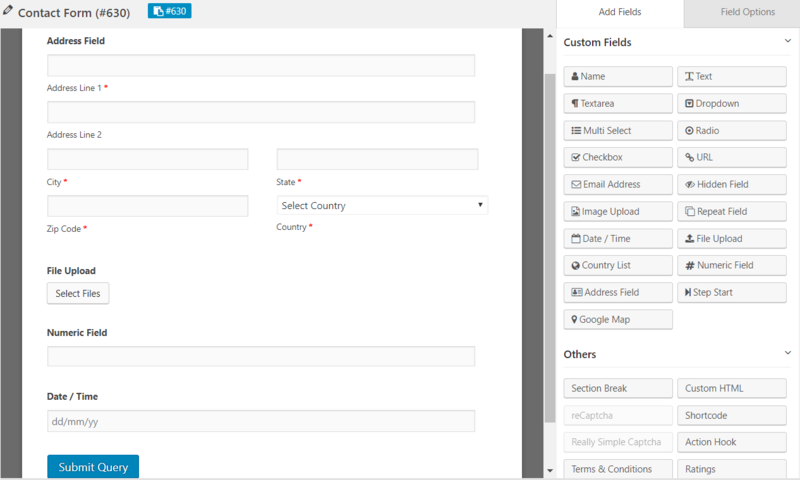 Configure your form’s settings and user flow based on conditional selection. Your forms should appear just the way you want it. Break down the long forms into small and attractive multi step forms. Long and lengthy forms are uninviting, why build one? 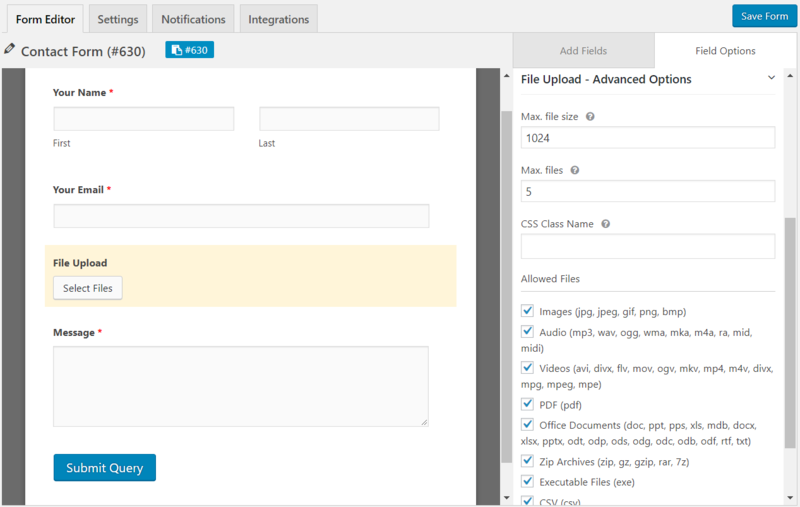 Let the user upload any kind of file by filling up your contact form. The process is unbelievably smooth and supports a wide range of file formats. 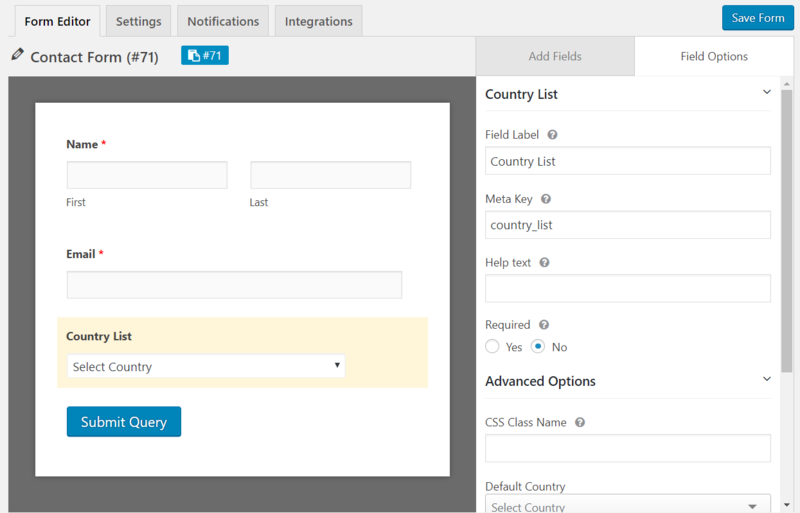 With this field option, you can easily create a drop down for all the countries with a single click! Verify the location of your form users with advanced geo tracking feature. 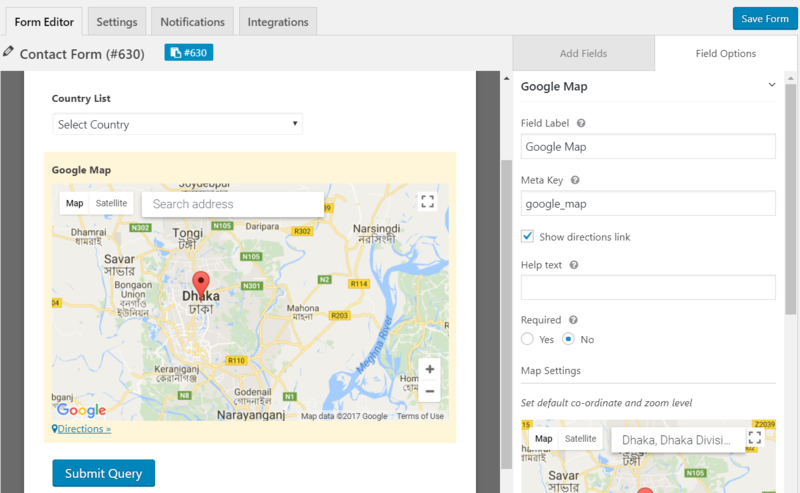 Make the best use of geolocation data with weForms. 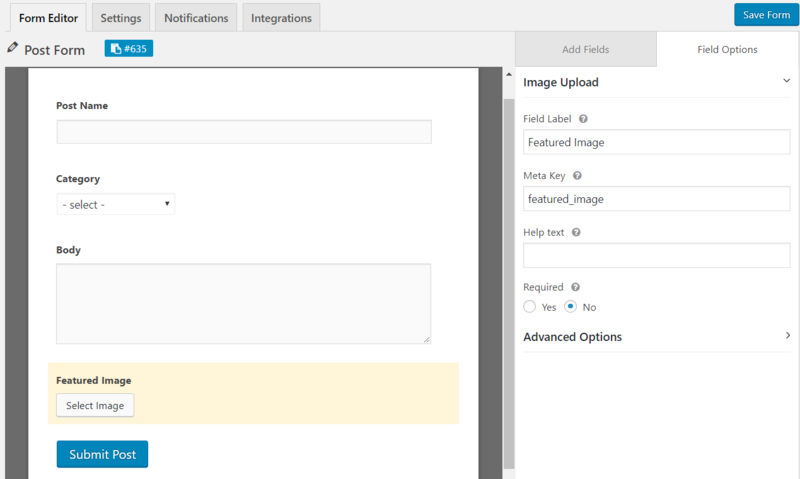 Allow your users to post in your website without backend access. Ensuring safe, secure and hassle free content submission for you. 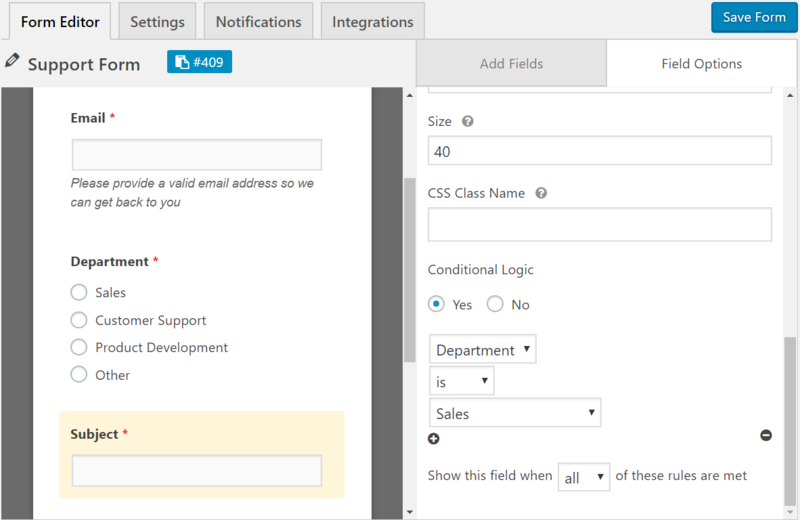 Wondering if you can send the form submission data to external services and applications? 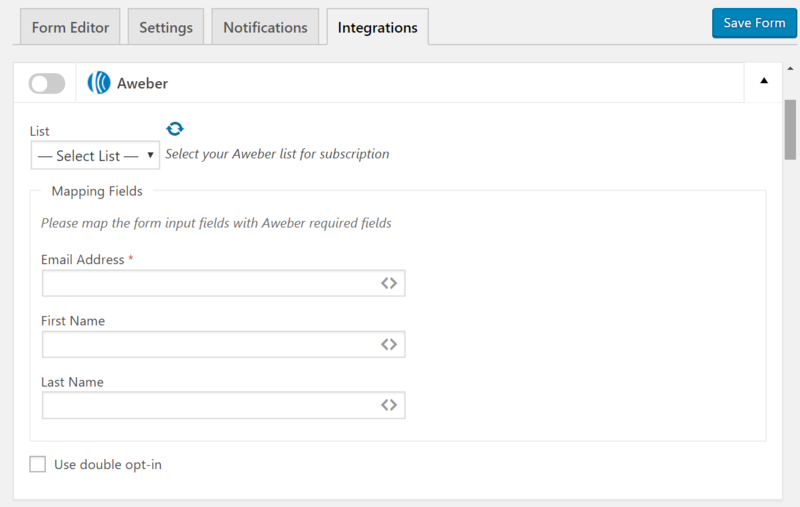 The webhook feature lets you do it in just a few steps. Spending time to find out the latest workable update is so backdated. 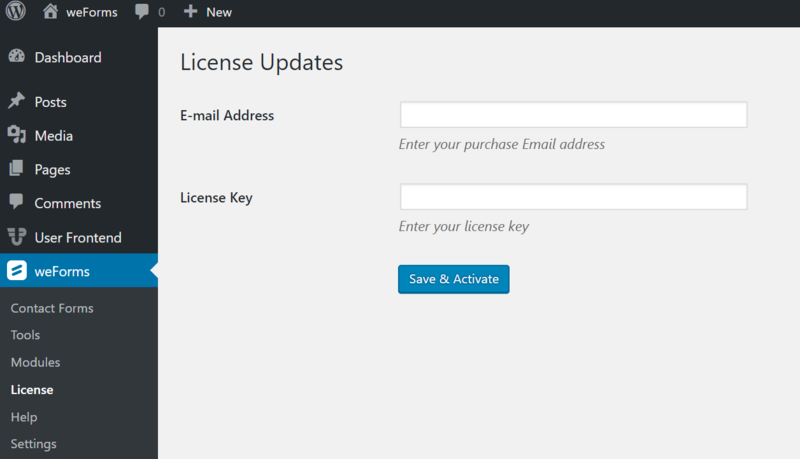 Update your plugin from your admin dashboard with a single click. Lets you add submission form in your Campaign Monitor email campaigns too. Integrate your contact forms seamlessly with your Constant Contact account. 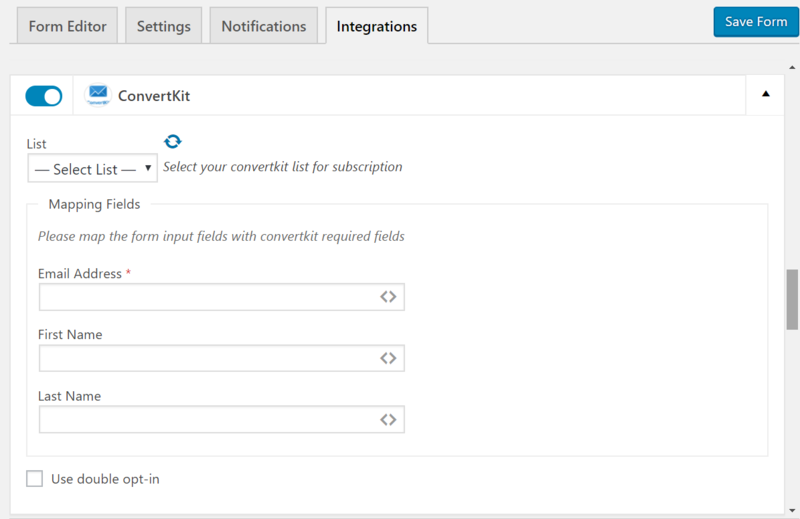 With this integration, you can easily use weForms for convert kit automation and email marketing. Integrate weForms with the popular GetResponse email marketing tools for your business. 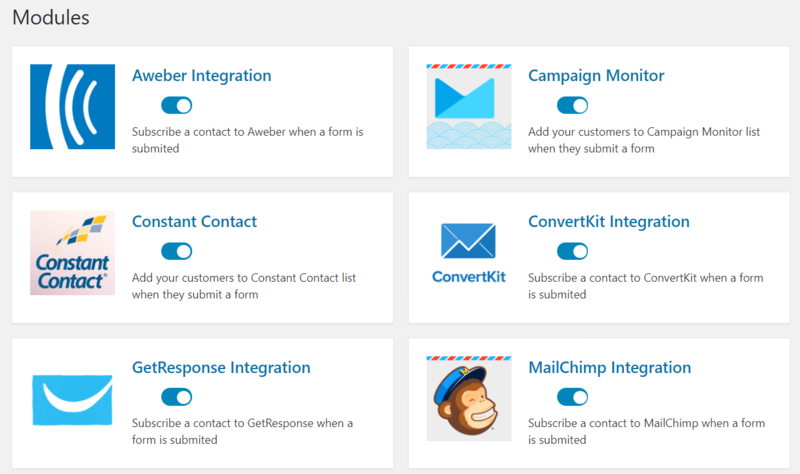 Integrate your desired form to your MailChimp email newsletter using latest API. Why only MailChimp? Do the same for MailPoet email campaigns as well!